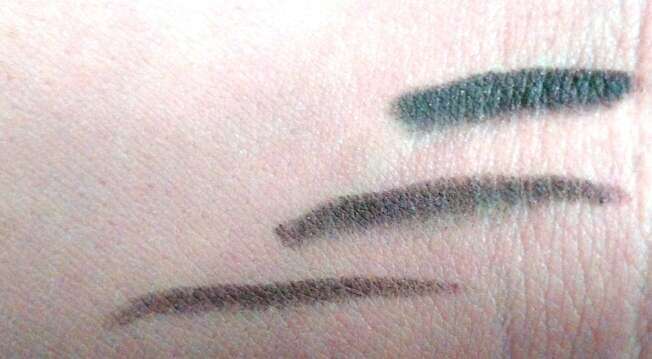 I am very fond of using kajals and this craze of mine makes me keep trying kajals, kohls and liners from all different brands till I am able to find my Best Kajal ever. This Faces long wear eye pencil has been raved so much in the last few years, infact I know so many girls who just swear by it and keep buying this one after another in different shades so how could I miss this one. Keep reading to know what's so unique about this Faces Long Wear Eye Pencil. An extremely soft formula with the ease of application of a traditional pencil. The formula glides on effortlessly and reliably stays put for hours -no matter how busy your day is. It has an excellent and even colourpay-off. It is waterproof, longwear (8 hours) and free of preservatives. It is dermatologically and ophthalmologically approved. 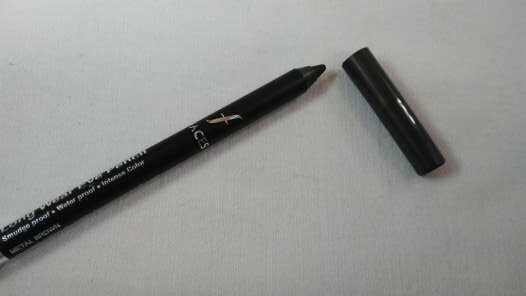 PRICE - Rs 449/- for 1.2 g.
This Faces Long Wear Eye Pencil comes in not so convenient simple packaging with a creamy tip which needs to be sharpened almost everytime because of its creamy texture. I would have surely preferred the retractable one to avoid so much wastage and carrying a sharpener everytime using it. This Faces Long Wear Eye Pencil comes in beautiful vibrant shades and every shade is to die for. Which ever shade you take up and try you won't be disappointed even if its plain black. 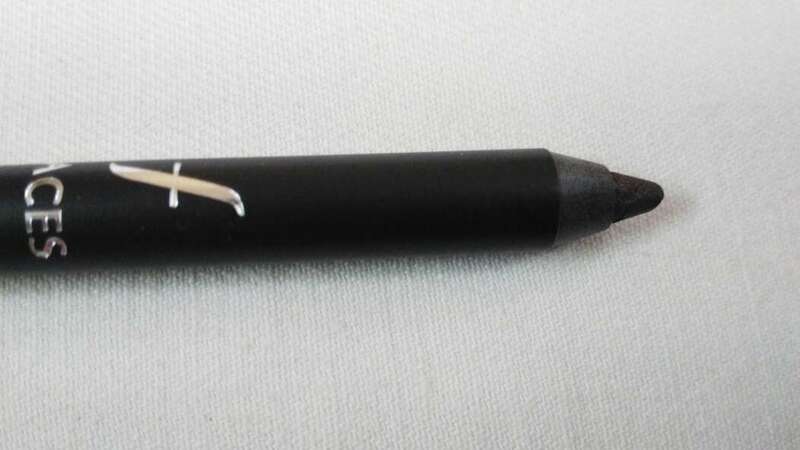 Infact the black shade of this Faces Eye Pencil is blackest of all black, a true jet black shade with a nice creamy texture with minimum smudging. I have this in metal brown shade. I bought this brown shade because I love brown kohls since I have brown eyes and brown kohls truly add to the beauty of my eye color even more . Moreover a pretty true brown shade is quite difficult to find in India. Now coming to its texture. 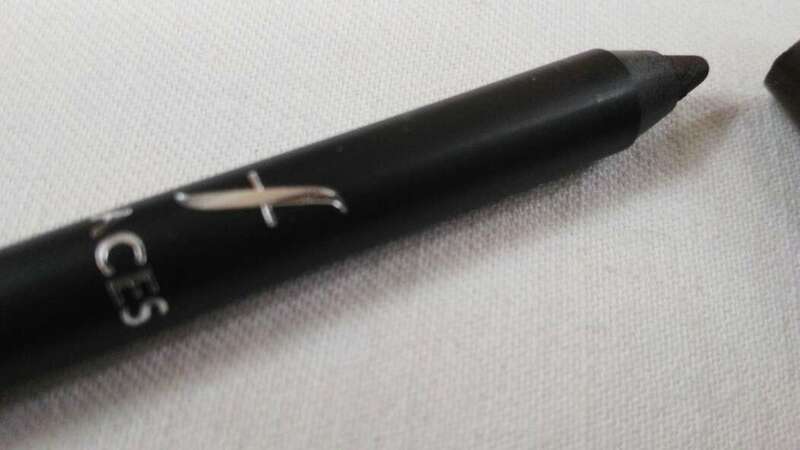 This Faces Eye Pencil glides like anything because of super soft creamy texture. Even a single swipe of this is enough to get that perfect dark intense shade because of extremely pigmented shades. The shades can be made more intense with multiple swipes but one needs to be careful not to be harsh since these are extremely soft and could easily break with just little effort. Regarding its staying power, I would stay the kajal remains intact for 3-4 hours without smudging. Though I have sensitive eyes on which most of the kajal smudge and infact this one also smudged after about an hour or so but very little. It just leaves a black dark shadow sort of look after a while below the waterline unlike raccoon eye look which is quite common if the kajal used is intense and creamy. However I have to be careful using it lightly not going too much with multiple swipes because doing that with effort leaves little debris like stuff in between which actually irritates settling in eye corners and in between. The staying power is good with little smudging after a while. The kajal is also waterproof and does not come off easily so all in one, can say this is one of the good kajals available in India if not the best one due to its fragile packaging and super extra creamy texture. Im quite happy with the intense color pay off in different shades of this and surely going to try this in some other shade for sure. Do tell me whether you tried this kajal, what you think of this and if you have any better options. Intense pigmented color on single swipe. Comes in beautiful vibrant shades. The black shade is blackest of black shade a girl looks for. Very easy to apply kajal, no tugging bleeding. Kajal remains intact for few hours easily. Does not irritate even senstive eyes. Quite cheap for the quality it offers at this price. Needs to be sharpened with every use. Can be irritating if used too much because of creamy texture. More amount of usage leaves black shadow below waterline.